« Team Australia: Top Effort In Brazil! 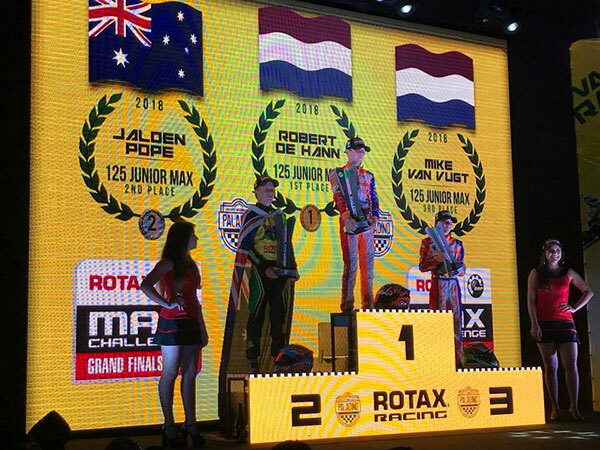 Rotax Grand Finals – It’s A Wrap! This year was the time the event took place on South American soil. Boasting the world’s greatest elevation change in karting, the Paladino circuit offered drivers both a technical and fast-flowing track. Although rain did appear occasionally throughout the week, constant temperatures around the 30-degree mark were welcomed albeit creating challenges for the drivers. “What really makes this event different is the fact that every driver gets a fair chance to win thanks to the raffle system through which a randomly drawn chassis and engine package is provided to each entrant. 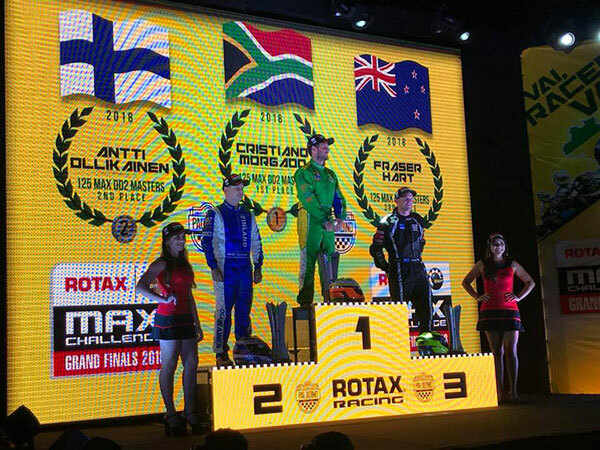 This would not be possible without the close relationship between BRP-Rotax and our three long-term chassis partners BirelART, IPKarting (Praga) and Sodikart,” declared Peter Oelsinger, Vice-president Rotax Propulsion Systems. The Rotax THUNDeR was the e-kart presented in its category’s races. It was also used this year in the German electric kart championship, the DEKM (Deutsche Elektro-Kart-Meisterschaft). Developed in cooperation between RIC TECH GmbH and S.M.R.E.’s subsidiary IET S.p.A., the Rotax THUNDeR powerpack features chassis specially designed by Sodi and based on the Sigma DD2. The FIA-Americas 2018 E-Karting Cup team consisted of 14 drivers. 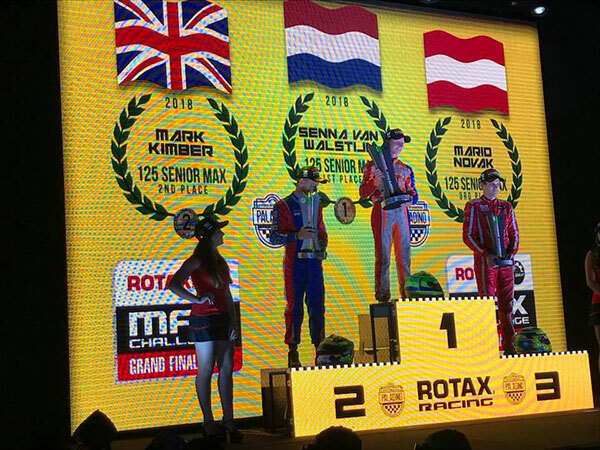 The top four drivers then competed for the race taking place in the beginning of the week and in today’s DEKM Rotax Grand Finals 2018. 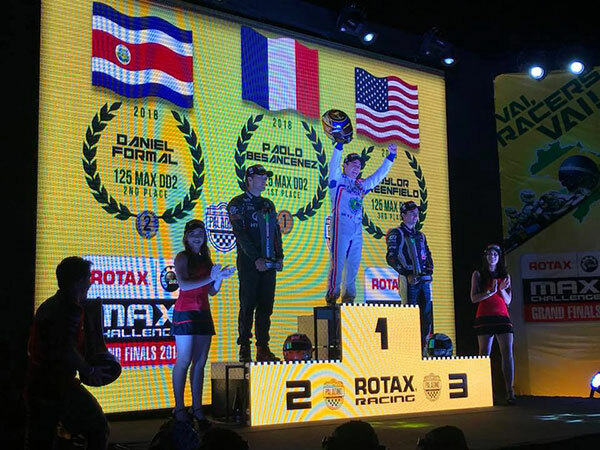 “The e-kart races having been integrated into the RMCGF schedule makes timing challenging for the Rotax team. 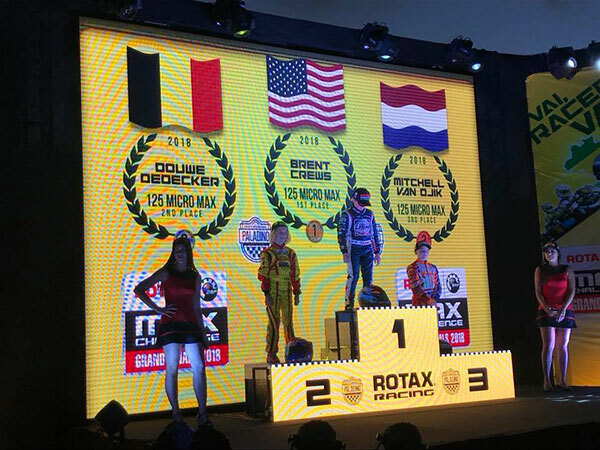 Nevertheless, the RMCGF was the perfect opportunity to present to the karting world the Rotax THUNDeR – Rotax’s and IET’s newest technology,” added Oelsinger. 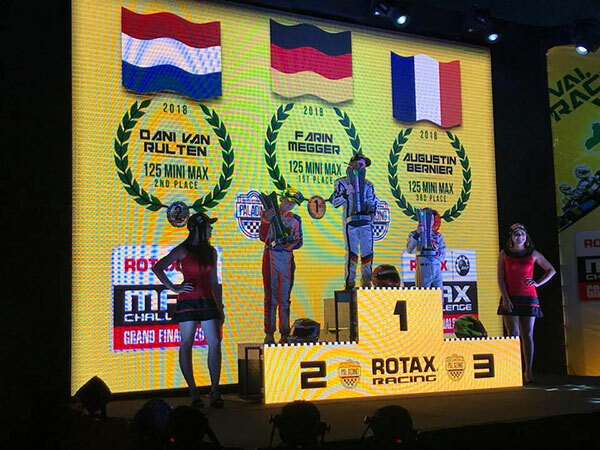 “The Rotax MAX Challenge Grand Finals is not just about winning, it is also about the people and the unforgettable experience,” declared Team Contest Winner 2018 Gaby van den Burgt, team The Netherlands. The Nations Cup was awarded to Brazil. 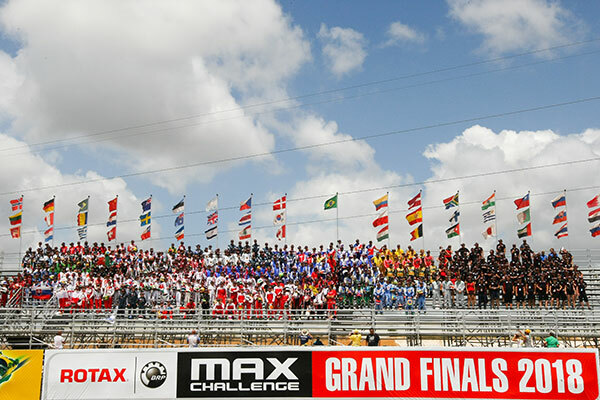 The location of the Rotax MAX Challenge for the coming year was announced at the Driver’s Party. It will be the Circuito Internazionale Napoli in Sarno, Italy to host the 20th edition of the Grand Finals.